Station Road, Queensferry, Deeside, Flintshire, CH5 1SU. A retail/office unit conveniently placed on Station Road in Queensferry. Most recently used as an office for Insurance Brokers, the flexible accommodation may be considered suitable for a variety of uses, subject to the necessary planning consents being obtained. Queensferry is serviced with numerous retail units and take away outlets, and the premises is located within reasonable walking distance of the Deeside Leisure Centre and Ice Rink, and an ASDA super store. Access to the A494 is a short drive away, providing links to the A55 and national motorway network. Large display window. Two panel radiators.Suspended ceiling with inset lights. Built-in store cupboard. Passageway with radiator. Suspended ceiling with inset lighting. Panel radiator. uPVC double glazed window. Base and wall cabinets with worktops and sink unit. Water heater. `Glo-worm` gas fired `combi` boiler. Panel radiator. Washbasin, close coupled w.c.Panel radiator. The tenant will be responsible for internal repairs, and for the reimbursement of the Landlord`s costs in respect of the annual buildings insurance premium. 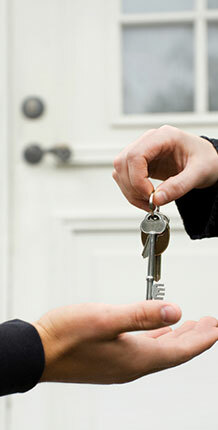 Rent quoted is exclusive of all utilities, including water rates. In the normal manner, the ingoing tenant will be responsible for the legal costs incurred in the preparation of the Lease. All arrangements to view the premises through the Agent`s office. From the main set of traffic ligihts in Queensferry, turn into Station Road, and the property will be found on the left hand side.